Not your ordinary doctor, not your ordinary doctor's office, guaranteed. Personalized care with lasting results. Safe and effective state-of-the-art procedures/techniques. 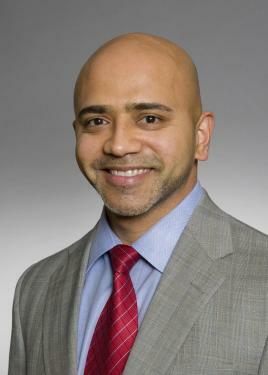 Dr. Niraj Patel is a Chiropractic Physician who is National Board Certified. He graduated from New York Chiropractic College in 1999. He has practiced in NY & PA and lectured throughout the communities spreading hope and wellness healthcare for those who suffer needlessly. He has also written for the Curves franchise & local newspapers. He is a member in good standing of the American Chiropractic Association and Pennsylvania Chiropractic Association. His office has proudly helped raise monetary funds for the United States Military Personnel, American Cancer Society, American Heart Association, Pottstown Schools, Meal on Wheels programs, and the Cluster outreach program. Dr. Patel and his patients have collected and donated school supplies for students in need and non-perishable food items for the local food banks on a yearly basis. On a professional level, 2017 is going to be an even better chapter for Chiropractic & Wellness Center as the best office in Pottstown, (Not that it hasnt been). The state of the art office has added even more. This extraordinary office has been providing quality award winning Chiropractic care & more for the past 11+ years with the best staff who love being here along side Dr. Niraj Patel. Now all under one roof - instrument based adjusting (Impulse IQ, Activator, Cox flexion distraction, Sacro Occipital Technique) or manual manipulation if you prefer, FDA cleared Spinal Decompression Therapy - traction based procedure, FDA with ISO clearance for low level cold laser therapy for pain, nerve & much much more, the automated intersegmental traction unit, the famous automated hydro jet hydromassage bed - a massage without getting undressed or oils which can be used daily, a quick 10 minutes will rejuvenate you for the day. Physical medicine and rehabilitation with ultrasound and fully integrated unit with different modes of electrical stimulation. This above and beyond wellness center offers a great affordable wellness program for those who just want a quick adjustment weekly. In addition, acute care & chronic care is provided from the youngest of infants, to the children & the elderly, pregnant mothers (and fathers :-) auto accidents injuries, workers compensation injuries, & sports injuries. The office & the provider is in network for most local insurances including Medicare. Referrals are not required for Medicare and for most insurances. Even if they are - the trend of skyrocketing high copays & deductibles are so high that your out of pockets fees with our "time of service discount" might be even cheaper. This truly is a state of the art facility with advanced technologies to get you better faster with lasting results. The best doctor & staff who are continously applying themselves to learn and fill their "knowledge suitcase" to bring the Tricounty area the ultimate experience of simply AMAZING. Dr. Patel can proudly say that he has the experience and advanced knowledge to treat most musculoskeletal conditions. He utilizes the Impulse IQ (a very gentle adjusting instrument), low level cold laser, decompression, Graston technique (for releasing scars/adhesions), myofascial release, deep tissue therapy, trigger Point Therapy, NIMMO Receptor Technique, nutrition, massage therapy, stretching and strengthening classes and weight loss management. To promote healing and recovery he also incorporates one-on-one exercise rehabilitation so that we can discharge you from active care sooner and have you spending quality time with your family, friends, children, and grandchildren and doing what you love without pain. It makes us happy to see you satisfied and on your way to optimal health. All you have to do is call today! Please refer to the Special Offers Tab for any of our monthly charitable fundraisers. We believe in giving back to the community and therefore, to help our cause during the Miracle Year of Wellness, we ask for a monetary donation of $25, 100% of which will be donated to a local charity. In exchange for your donation, Dr. Patel will offer you and a friend a no-obligation consultation, examination, and a report of his findings. Treatment may begin on the initial visit, determined by the doctor on a case by case basis. Treatment is not Included in the special offers, even when provided on the initial visit. Call us today, learn how we can help and begin living your life pain free. We will make every effort to give you a same day appointment. Emergencies welcome. For your convenience we are open as early as 8am and as late as 7pm, as well as Saturdays. You're worth it and you owe it to yourself and your family. We look forward to serving you with quality care - guaranteed.